The October long weekend 2016 is almost upon us, and it seems everyone is ready for a well-earned break. There‘s a huge range of events set to take place over the weekend in Sydney, so we’ve rounded up the main highlights. If you’re in town for the October long weekend in 2016 you’ll be able to catch the tail end of the Manly Jazz Festival, which just gets bigger and better each year. Put your dancing shoes on and a smile on your face for an impressive selection of big bands, funk and soul, swing and gospel jazz services over the Saturday, Sunday and Monday. Good Food Month is in town in October bringing a feast of foody delights to the long weekend. Make your way to the CBD and selected locations for plenty of indulgent delicacies, from wine and cheese sampling to sumptuous sweet treats. Why not hop aboard and enjoy the Good Food Month High Tea at Sea for a novel way to soak in the city sights, or hunt out a Magical Chocolate Dessert dusted with gold? If you’re an NRL fan you’ll already know about the 2016 Grand Final, taking place on Sunday 2 October at Sydney Olympic Park. It’s a great day out for visitors of every age and made even better with an upgrade to one of many exclusive packages, which offer better views of the action along with food and drinks. Gates open at 1:15pm and the day is set to be a winner no matter the outcome. We’ll see you there! There are a handful of excellent markets taking place throughout the city over the long weekend. Take your pick from the city’s Pine Street Makers Market on 1 October full of colourful artwork and homewares, and the famous Glebe Markets and Paddington Markets, both on Saturday. Take your time, soak up the sun and wander through aisles of crafts, books, art, clothing and more with an almond croissant and coffee in hand. 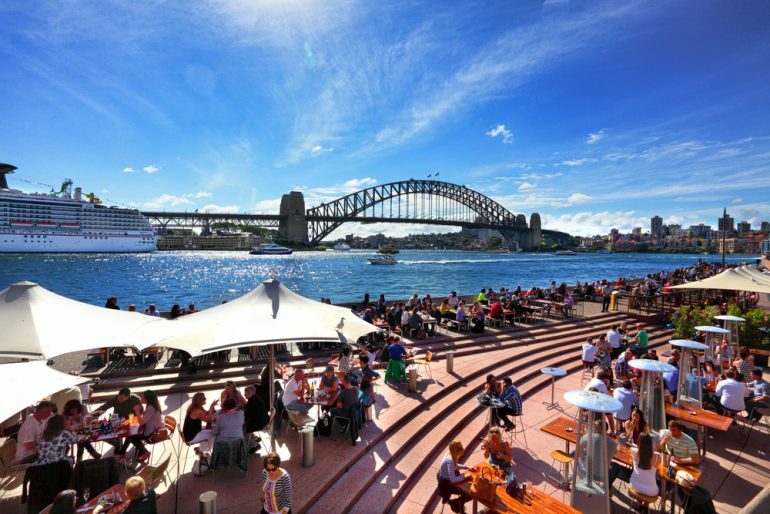 Have you found your Sydney accommodation for the October long weekend 2016 yet? Book soon and secure the very best apartments with stunning city vistas, resort-style facilities and every modern convenience under the sun. Meriton Serviced Apartments offers a number of exceptional central locations close to every long weekend event.